Remember me? I know I’ve been on a way too long hiatus from blogging for a bit but I’m back from my travels to London and Italy and back in Amsterdam to spend my last few days saying goodbye to the city that I have fallen in love with and amazing people I’ve met from all over the world. But before I delve into total sappiness, first let’s talk about London. London, you’re an absolute babe. Right after my final, I made my way to Schipol Airport to catch my flight to Gatwick in London which I found is a glimpse of what my idea of hell is like. People running around in madness, two ticket counters out of 8 open and having to hold the remnants a disgusting turkey sandwich (my only meal of the day) due to the lack of garbage bins. Oh and let’s not forget the people bumping in to you left and right…oh the joys of travel. The funny thing is as much as I’ve just complained, it’s amazing how much less things like this bother me now. Yes it was extremely unpleasant, but not unbearable by any means. Finally I make it to my hostel, located in an old courthouse with Dickens quotes on the wall due to his visit to the premises, though whether he was here to argue a case or on trial I can’t remember so we’ll go with the former one. Innocent until proven guilty. 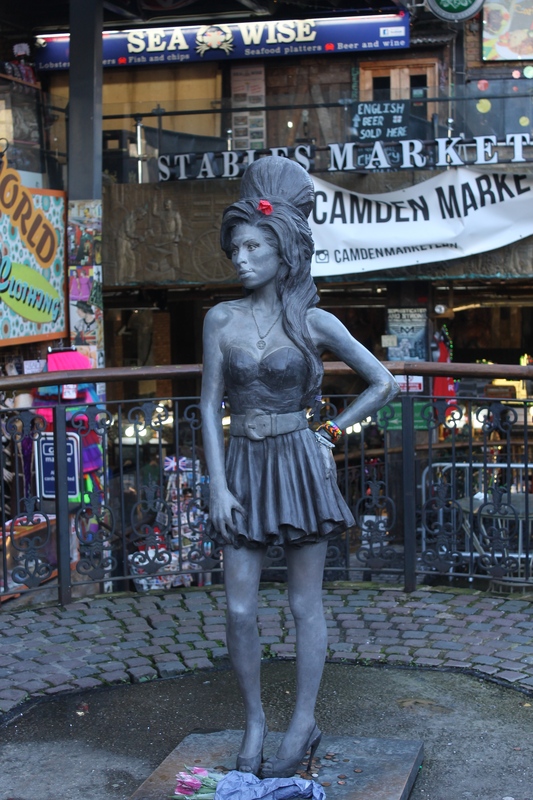 I got in super late so I decided to get some much needed sleep and in the morning headed to Camden Market, the neighborhood most famous for former resident Amy Winehouse. One of my favorite things about seeing a new city is checking out their local markets. It’s the best way to get a true view of the locals and really experience the culture in a concentrated setting, with a bonus of having relatively cheap shopping. Typically my first stop in a new place is a market. The market is like a maze, filled with delicious street food and mulled wine stands to lure you further and further in this labyrinth of local art and and countless vintage stalls packed with hipsters on a mad search for the Holy Grail, a pair of Doc Marten combat boots to match their denim on denim outfit. I stopped at a cute little stall called OWL which explains why I stopped, picked up a great owl print tote which served as my purse for the rest of the trip and a few gifts. 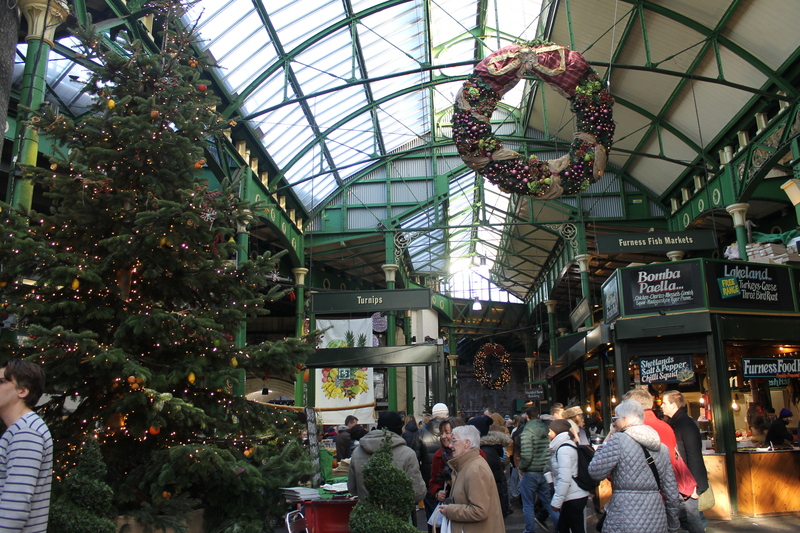 With my shopping finished, I hoped on the tube (underground transport) to the Borough Market, devoted completely to top notch eats. The underground, or tube as the locals call it, makes everywhere in London so easy to get to and really makes it simple for visitors to see the city without wasting time. Insert Pie Minister and my Moo Pie, filled with bacon, beef, veggies, and British ale plus a side of mushy peas (my new favorite side dish) and gravy. A delicious and filling meal for 4.50 pounds. Nom. Borough Market was so nice to stroll around and look at all the fresh food and delicious smells (or in the case of the fish area, not so delicious smells). Next I decided to pop around town and check out all the tourist sights. 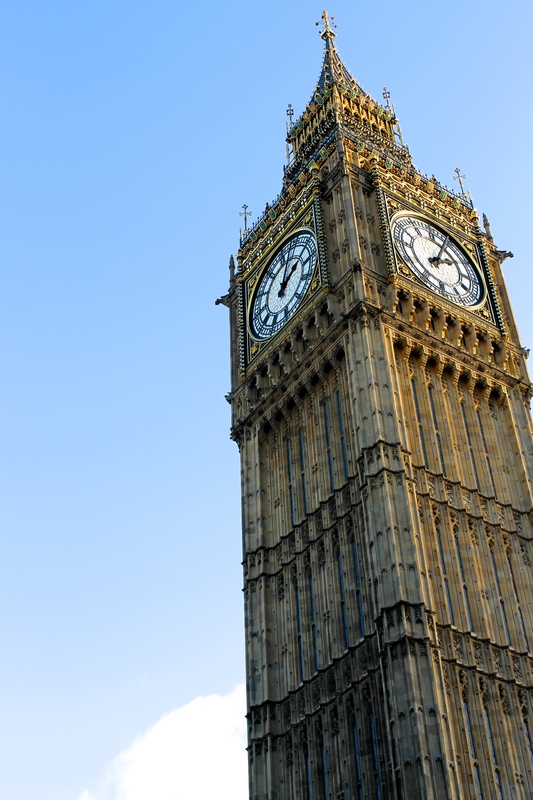 Tower bridge, Trafalgar Square, National Gallery, Westminster Abbey, Parliament, Big Ben. Check, check, check. 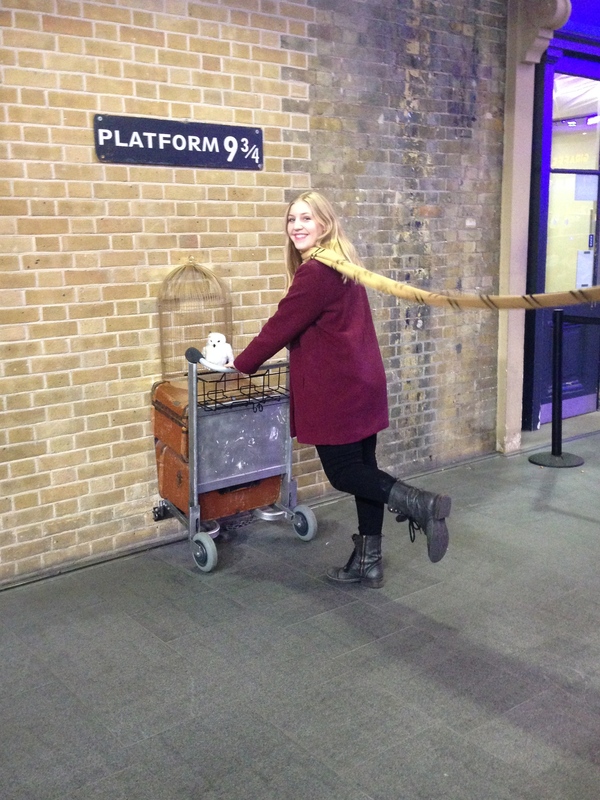 I even got a cheesy picture at Platform 9 3/4, where I snagged a Hufflepuff scarf and my middle school self was in absolute book worm heaven. London is such a large, sprawling city but seeing all the sights was much easier than I thought and I was glad I had time to check them all out while still enjoying each place. 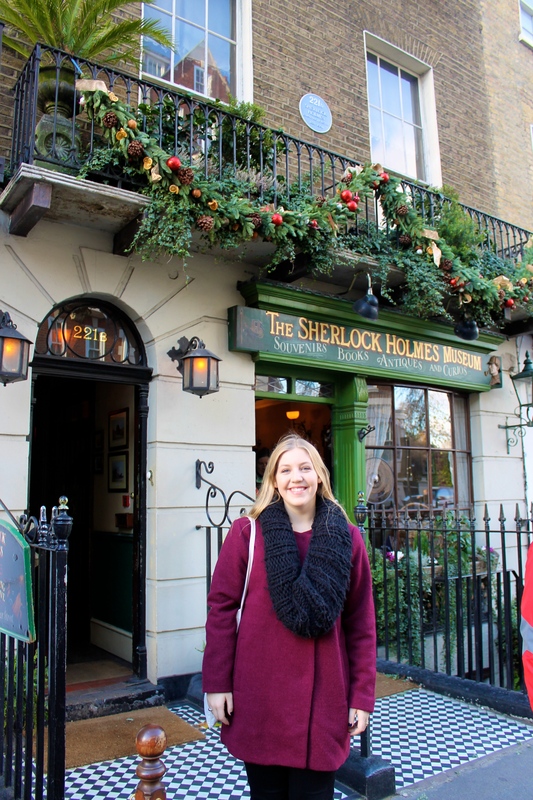 The next day I decided to head over to Shoreditch and Brick Lane after a stop over at Baker Street for a picture in front of the residence of Sherlock Holmes. Unfortunately Benedict Cumberbatch was not there but I got my picture, browsed through the gift shop and then made my way to see the famous Abbey Road cross walk from the cover of The Beatles album, where after dodging countless cars, finally got the perfect pictures and then ditched the crowds of tourists in favor of a more laid back area. 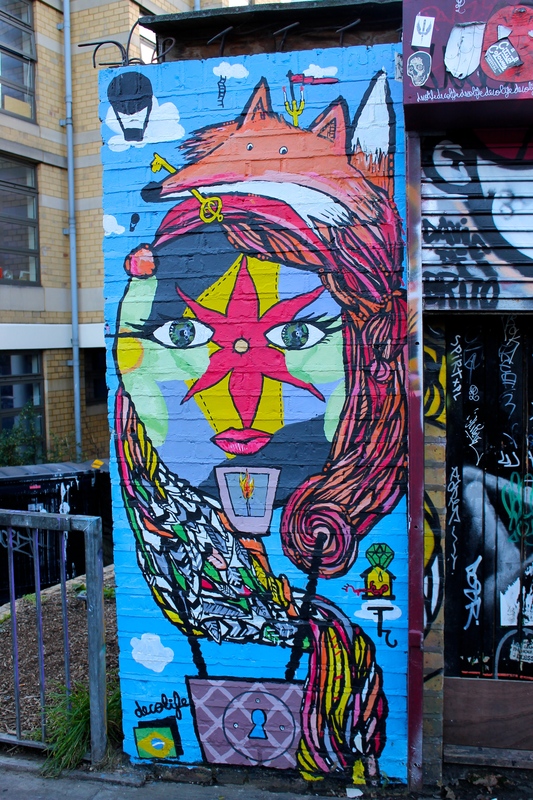 Shoreditch, a place filled with local boutiques, infinite street art and more market stalls than you can count. Needless to say, this was my favorite area in London. I strolled around and snagged a handmade crescent moon and stone necklace that I may or may not but utterly obsessed with, a book (I’m sure you are all so surprised) and checked out the various markets and vintage and antique stores while waiting for my appointment for Lady Dinah’s Cat Emporium. 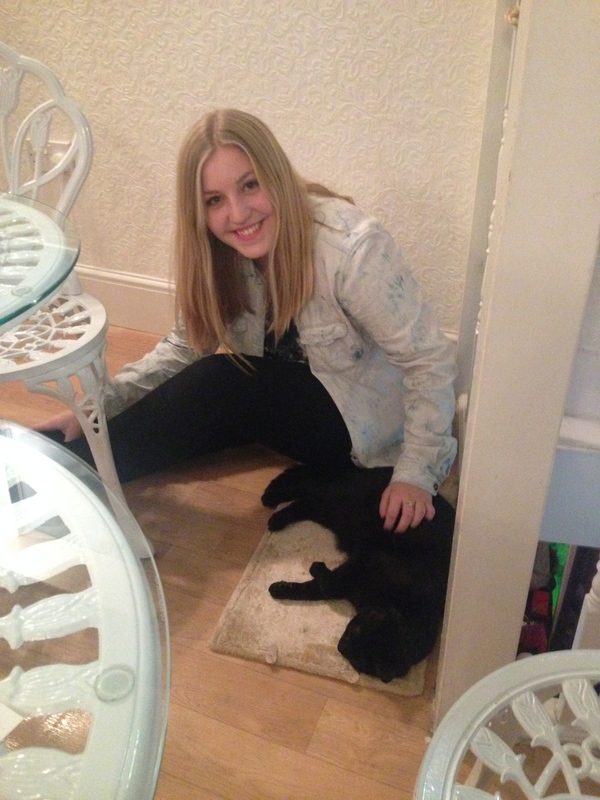 Yes, you read that correctly, I booked afternoon tea at a cat cafe. Lady Dinah’s was absolutely great, as is their Alice and Wonderland inspired name. A purrfect way to relax, enjoy some much needed caffeine and sweets, and finally play with some furry (and adorable) friends since I haven’t seen my pets in 4 months. There are 11 cats to play with and the staff is very helpful and tries to get them to interact with you, even Biscuit, the shiest of the bunch. The tea was good but I’m definitely an American and much more of a coffee drinker. After my two hours were up I headed back to Kings Cross to my hostel, grabbed dinner from a local burrito cafe to final attempt to kick my insane craving for Mexican food that has been in effect since August. To say that I miss Mexican food is the largest understatement of the century. After inhaling a plate of pork nachos, I met up with a group of girls staying in my room at the hostel bars for drinks. That’s one the great things about hostels, they are the perfect way to meet people especially if you are a solo traveler! After a fun night out (or I guess I should say in) and a nice breakfast with my new friends the next morning, I decided to spend my last day back in Shoreditch and check out the Brick Lane food market and a few of the local coffee places. Markets and caffeine, welcome to my heaven. I was pretty hungry after wandering around the various markets so I stopped in the vintage thrift market going on near Rough Trade, one of the best music stores I’ve ever seen, and grabbed a traditional yellow chicken curry served up hot and fresh on a layer of steaming hot rice which was perfect for the chilly day. That’s one thing you absolutely HAVE to do in London, get curry from Brick Lane (or anywhere really). It was delicious, a perfect balance of spices and flavor and I ate every single bite before even thinking to take a picture. Too good to wait for a picture. With my belly full and my mind on sensory overload from browsing through countless stalls for over an hour, I decided to pop in to Brick Lane Coffee at the suggestion of a few locals for a cup of coffee and some downtime. Brick Lane Coffee is everything a coffee place should be to me: quirky, cozy, has amazing wifi service so I can use my cell phone that only operates through internet, and last but not least serves delicious, no nonsense coffee. I camped out here for an hour before hitting the streets again to check out the pop up stores that were open for the weekend. Insert a dose of nostalgia, in the form of Cereal Killer Cafe a cafe entirely devoted to breakfast cereals from all over the world with options ranging from Crispix to Coco Puffs and including a wide array of toppings to choose from. 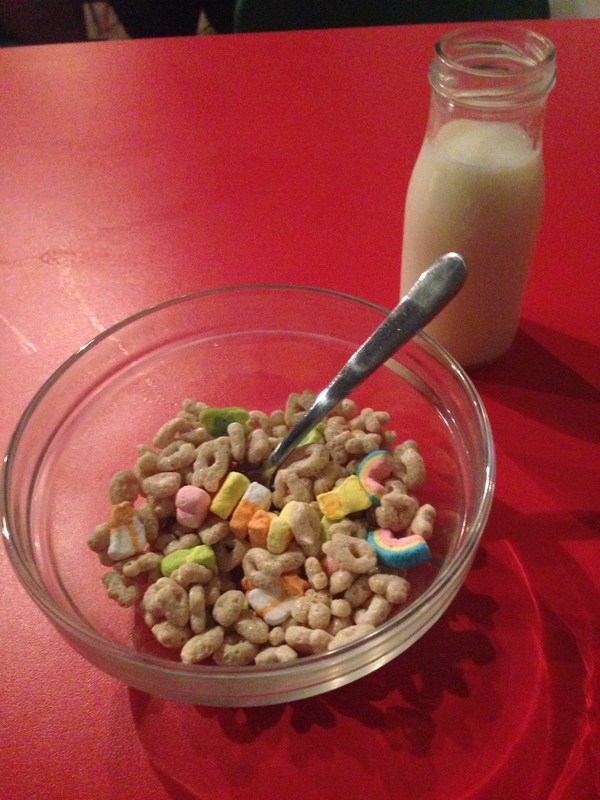 I decided on a bowl of Lucky Charms and went downstairs to sit and eat my meal at a table in front of the many TVs all playing cartoons from my childhood. Brick Lane, from cereal cafes to the most amazing coffee places, you are amazing. I ended my trip with a visit to Winter Wonderland in Hyde Park, a German Christmas market crossed with a county fair with more stalls of mulled wine and various food than the eye can see. It was so nice to be able to walk along the stalls, taking my time and picking up little snacks of food and drinks while looking at all the people having so much fun, the ones in the beer tents having the most fun. I headed back to pack up all my things to leave for Milan in the morning. 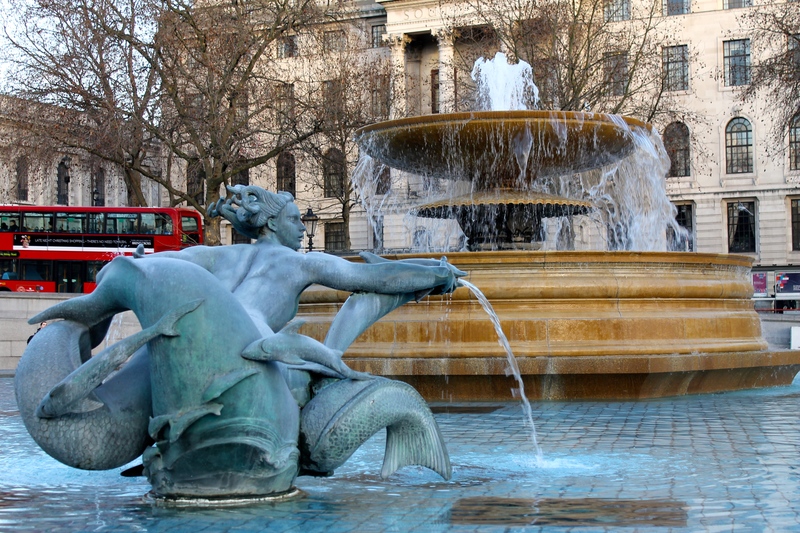 London is one of those cites that you have an infinite amount of things to do, with an activity that fits every personality. I was able to do all the tourist attractions I was dying to see but also got to focus on one specific area that I fell in love with and really felt like a local and simply relaxed and took my time. This is definitely not the last time you’ll be seeing me London, I’ll be coming back to you as soon as I can! Only 3 more days until I’m back in the United States, so I’ll have one more post about my last days in Amsterdam soon!